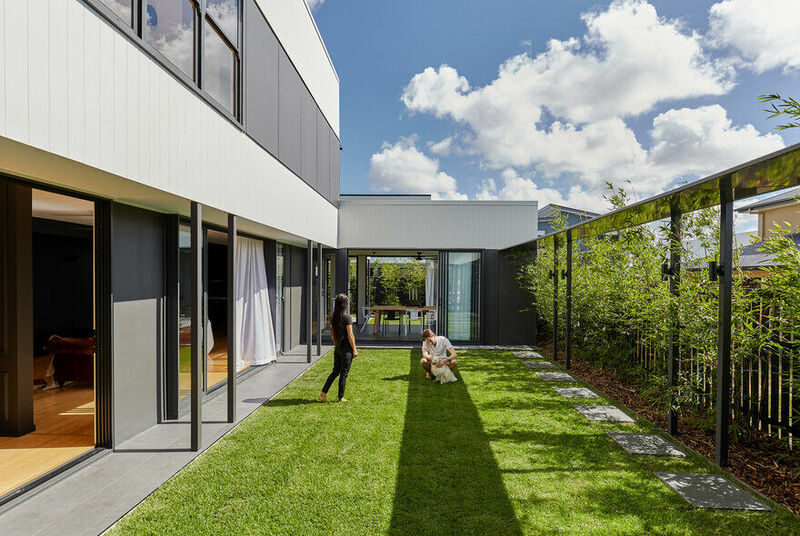 Happy Haus have delivered a clever courtyard home for their young clients in an unlikely setting; a new suburban estate in South East Queensland. 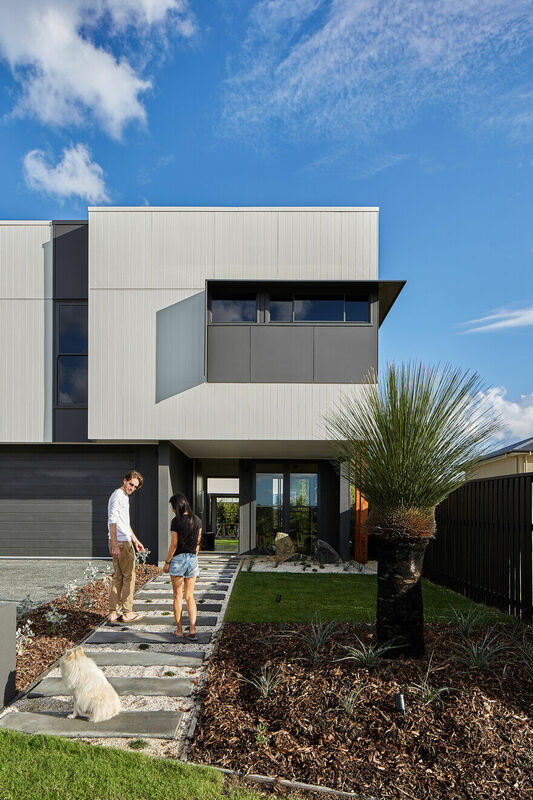 The clients, a young couple building for the first time, engaged the Brisbane-based firm to bring the Helensvale Haus to life as an open courtyard-style home on their medium sized block, which is closely bordered by the estates’ project-style-homes. 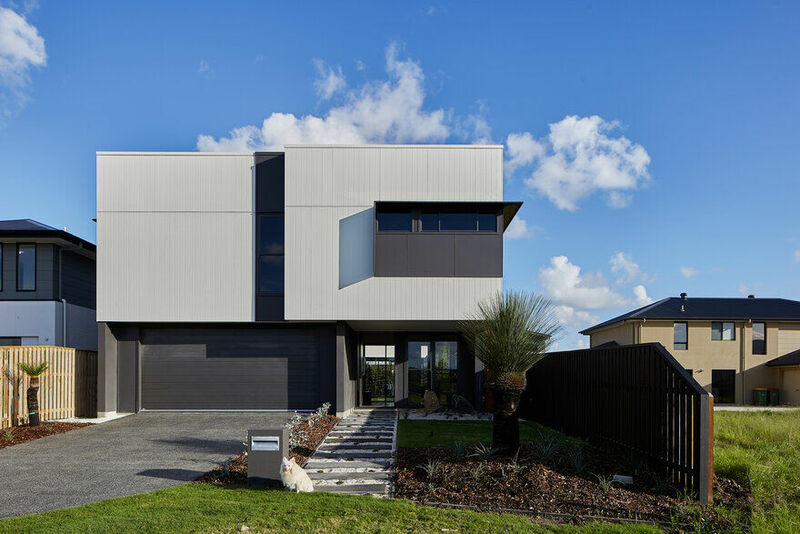 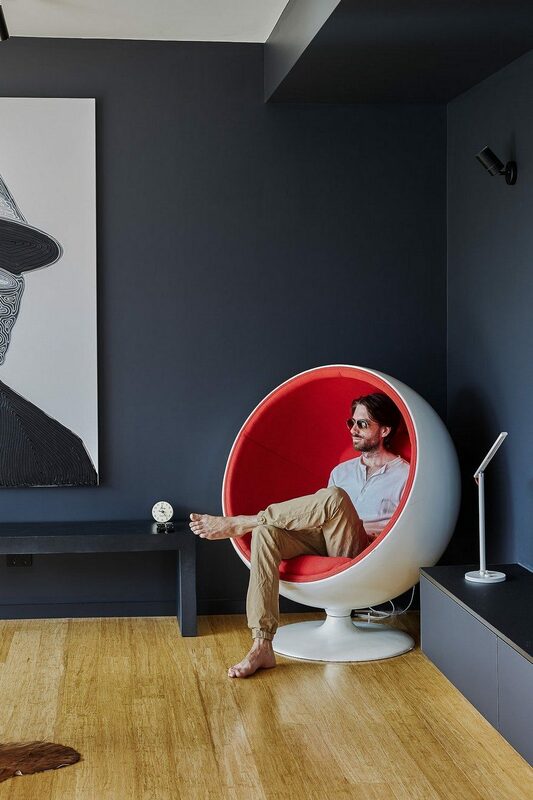 Managing Director of Happy Haus, Lachlan Grant, says “we worked with our client’s vision and guided them through the process of designing and building a home”. 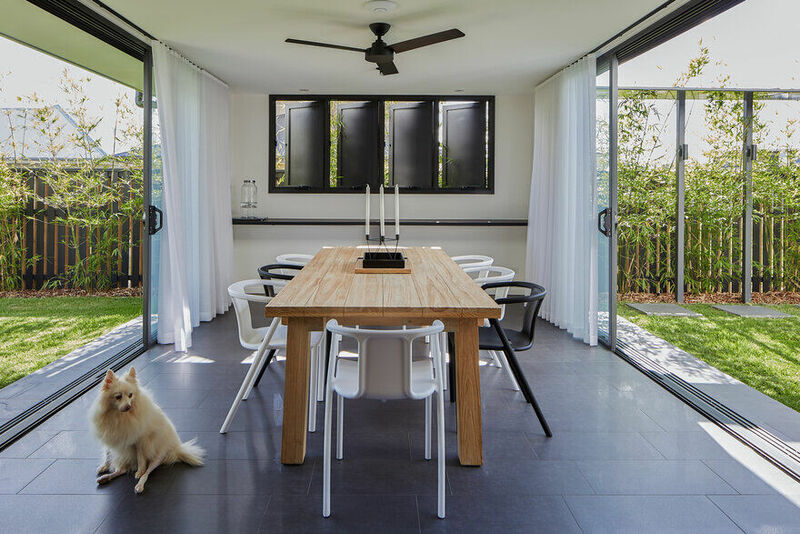 The Helensvale Haus is designed to breathe. 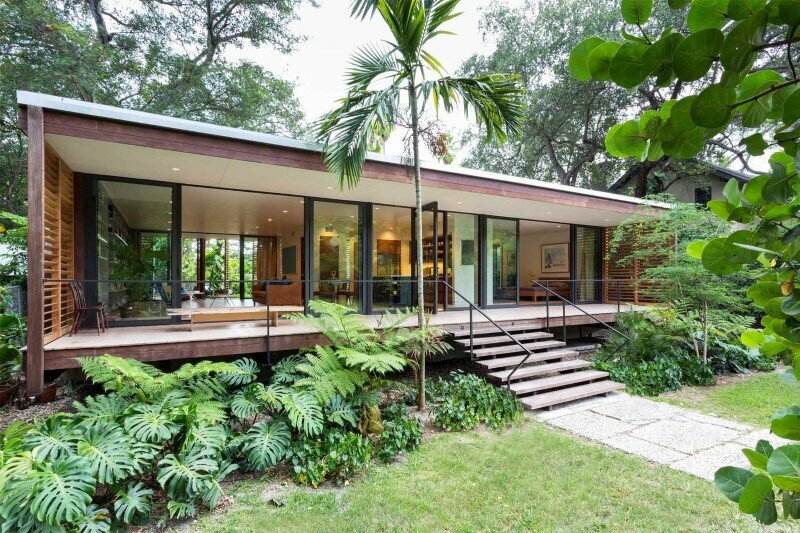 Each area of the home can be opened up to natural light and air, meeting the clients’ desire to build a classic courtyard home that makes use of the sub-tropical climate. 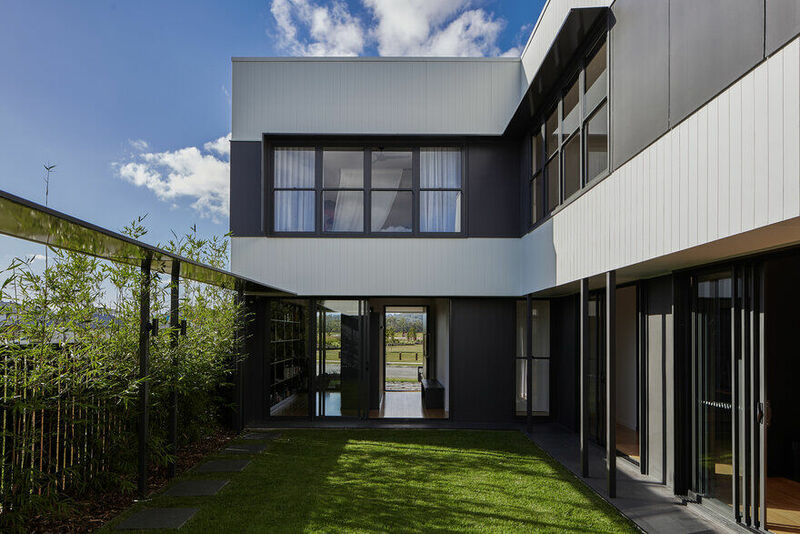 While the living areas are bordered by and flow into a central lush courtyard, Happy Haus considered the clients’ need for privacy in the densely populated estate. 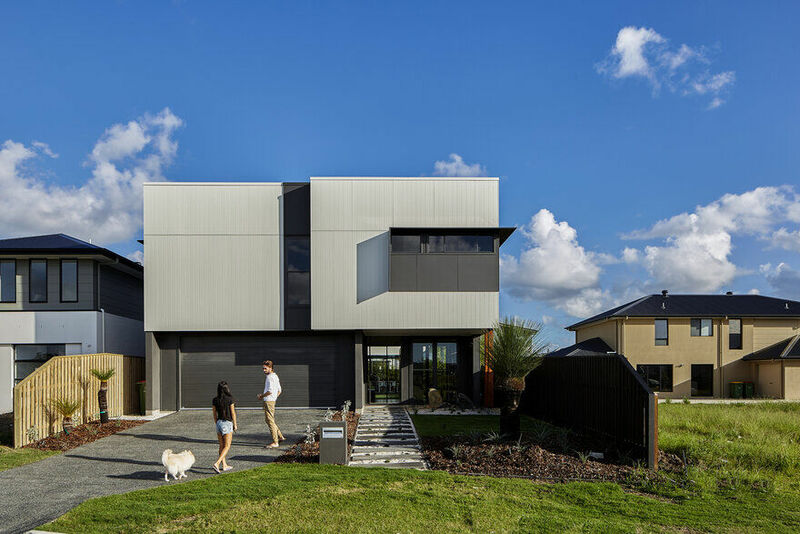 From the street, the modern box facade of the Helensvale Haus acts as a barrier for the clients’ indoor and outdoor living spaces. 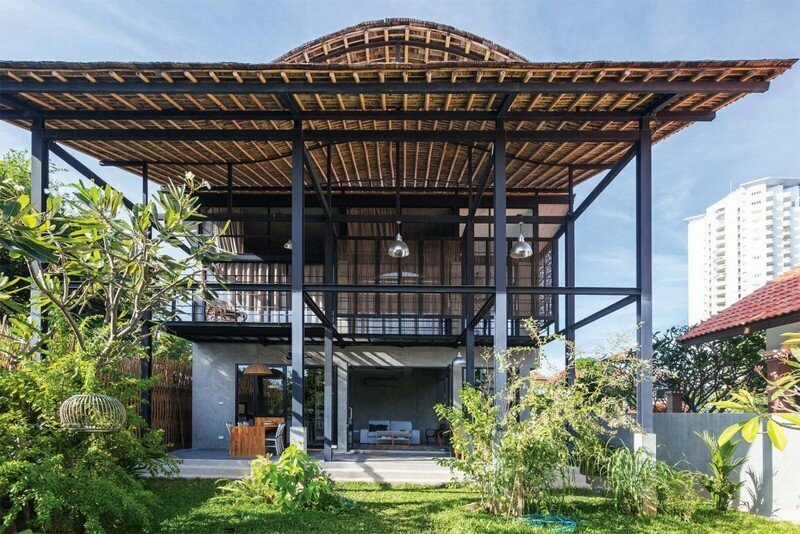 On entry, through large doors at the front edge of the courtyard, the home feels instantly private and separate from the street. 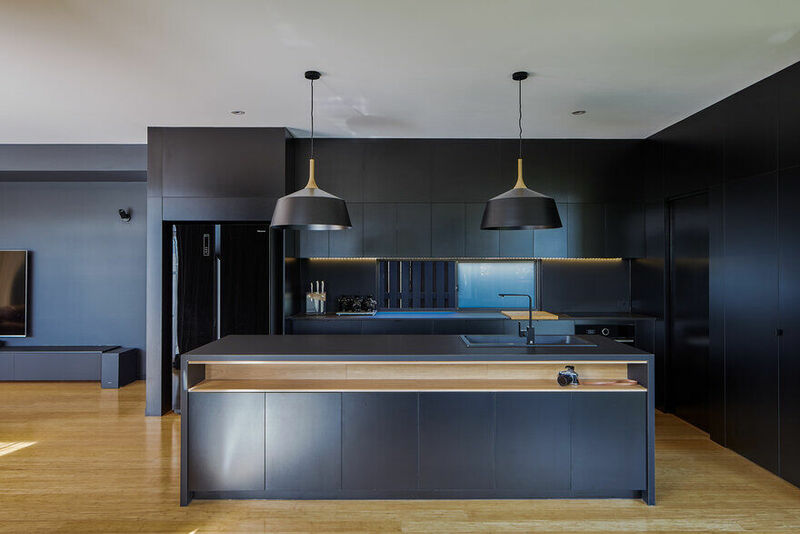 The open plan living and kitchen area is bordered by sliding doors, allowing seamless cross ventilation and connection to the courtyard. 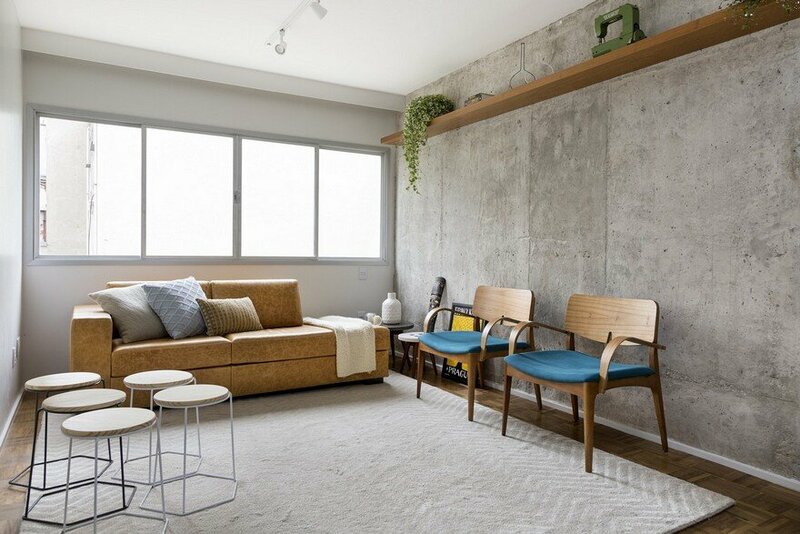 Upstairs, the versatility of the house becomes apparent. 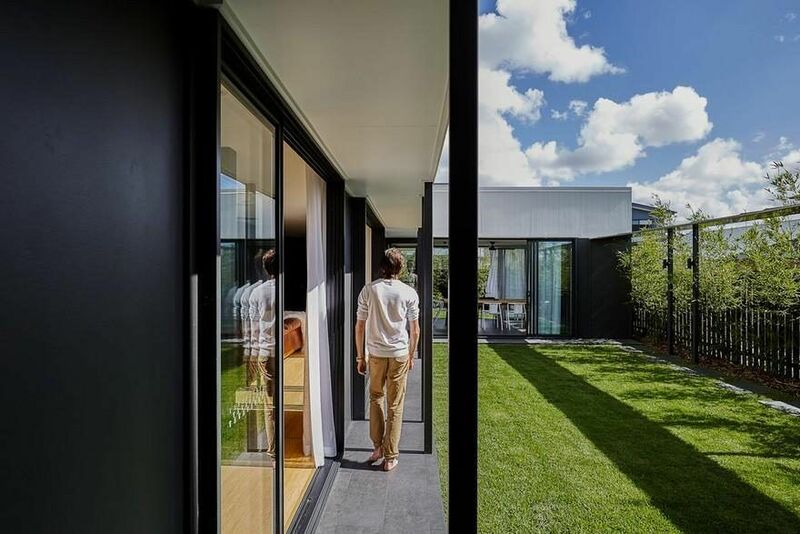 A series of bedrooms, bathrooms and a quiet living space all face inwards to the green courtyard. 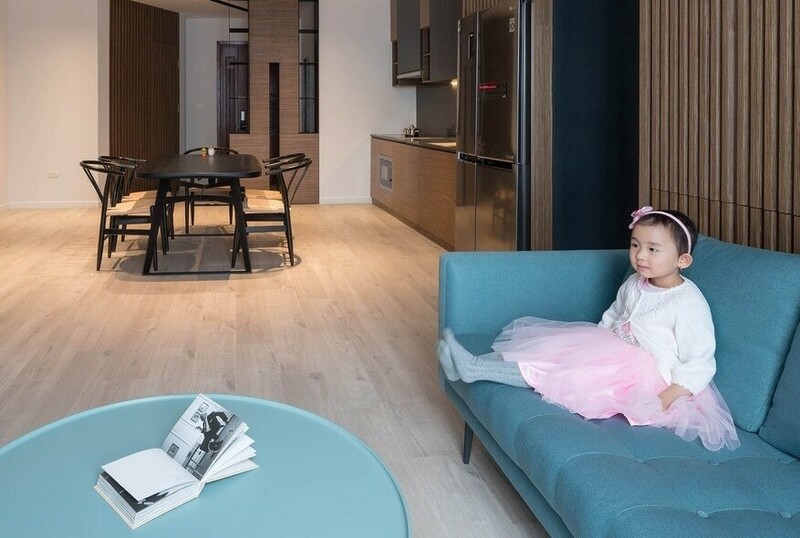 The second retreat-style living area adds flexibility to the home, allowing the residents a secluded rest space away from the open ground floor. 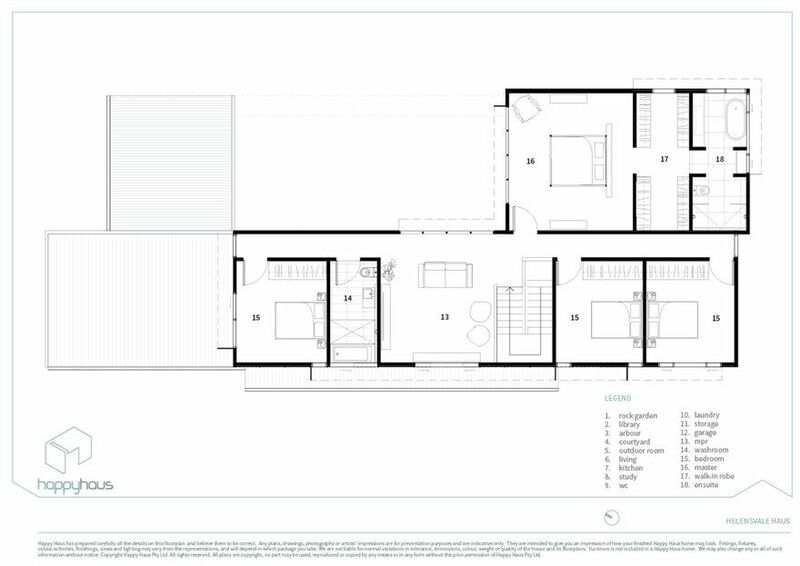 The new suburban estate on the Gold Coast is neatly organised in rows of cookie cutter homes that have the potential to encroach on the privacy of the Helensvale Haus. 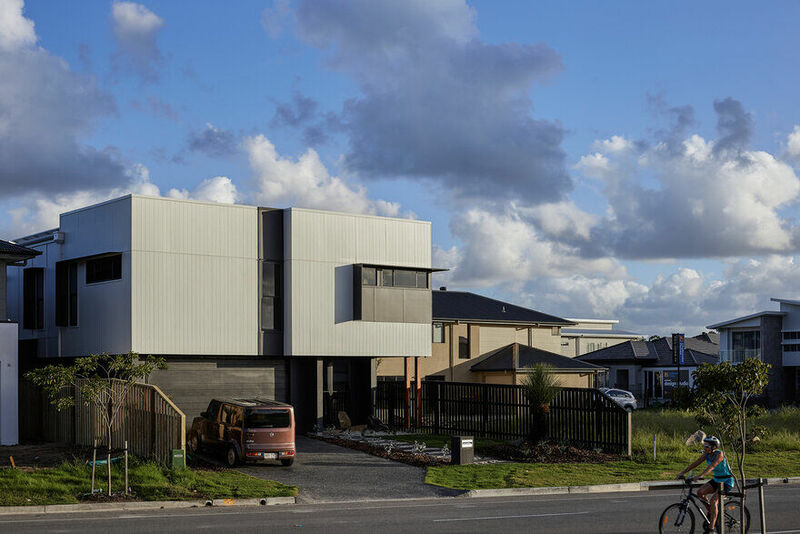 “Suburban estates are rarely sites for architecturally designed homes that focus on clients’ needs and lifestyles”, continues Grant. 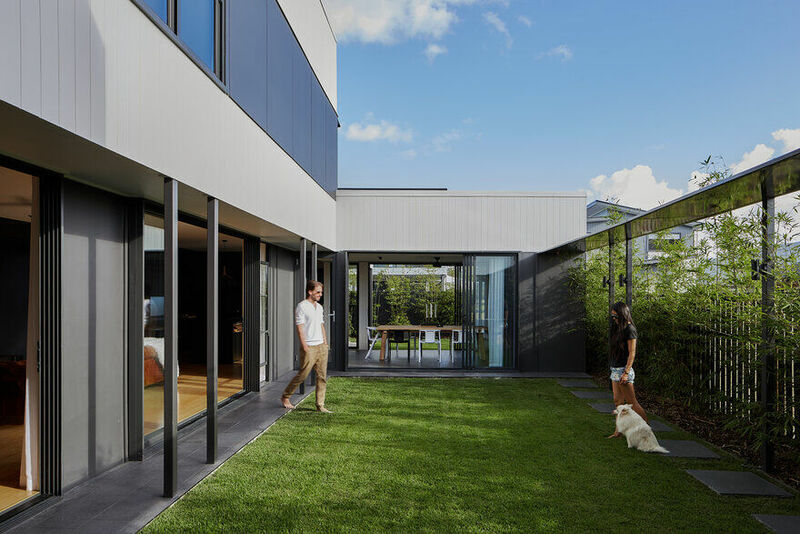 Happy Haus, a Brisbane based firm, believe architecture should be a more-widely accessible service, as it has the ability to change the way people live and interact with their environments. 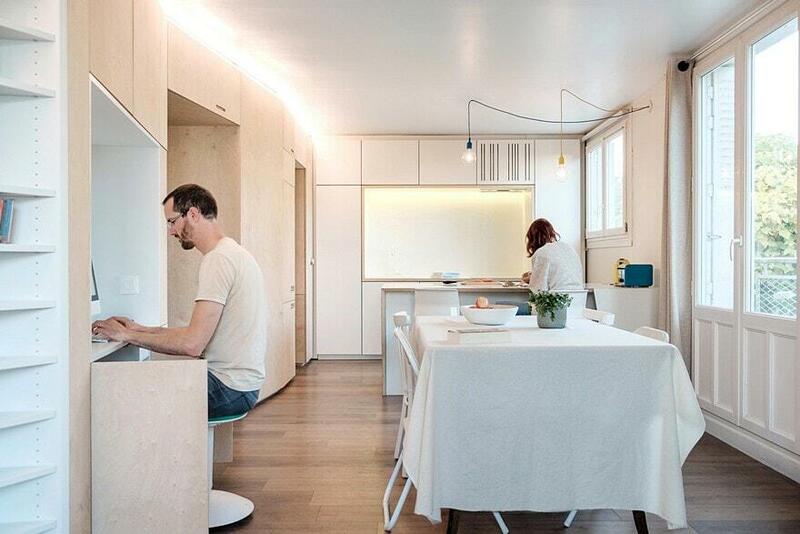 The business offers a multi-disciplinary approach to design and construction. 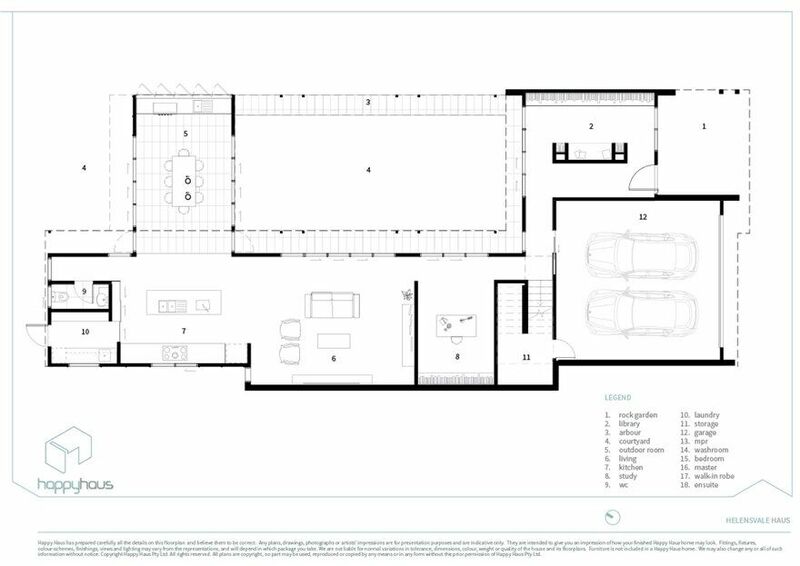 Architects, licensed builders, manufacturers and project managers all sit in the same team, providing solutions to a wide range of clients with one thing in common; the desire for a quality home that will enhance their quality of life through good design.